Not for the sale anymore: the 727 v3 is coming on August 10th 2018 ! Relive the glory days of the 70s! 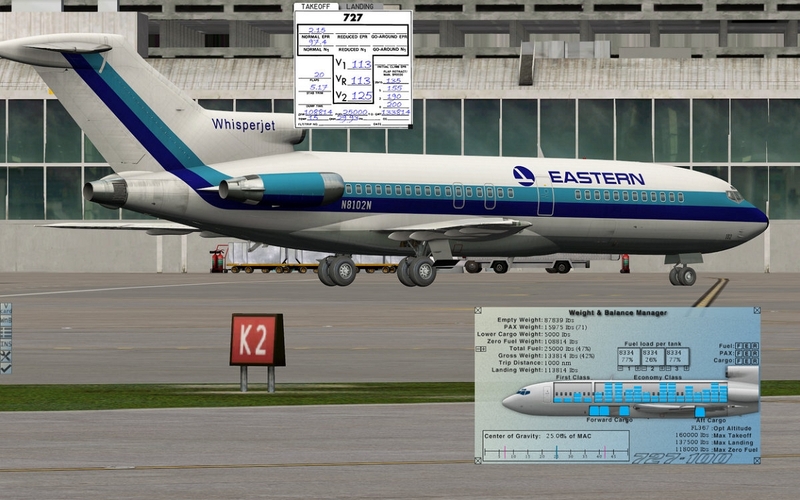 The FlyJSim B727 brings you back to the age of turbojets with three 727 simulations in one. 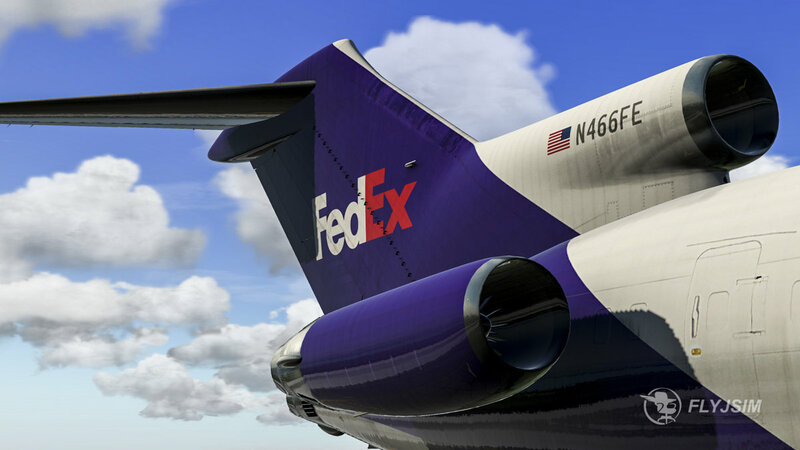 This package is complete with study simulations of the B727-100, B727-200ADV and B727F aircraft. The B727 was built to allow for Jet aircraft in smaller airports that were formally exclusively for propellor aircraft. Intended for Short to medium flights, the B727 is perfect for a transcontinental flight or even a short hop down to the next airport. The B727 was the only Tri-Jet built by Boeing and it was built for speed. For over a decade, more B727s were built than any other aircraft on earth. Now is your time to join the ranks by becoming a 727 Captain. optional persistent maintenance and failure system. No more will you be flying a brand new aircraft each flight. Instead each flight will wear out your engine, apu, or airframe. Your flying technique will now have a direct bearing on failures and maintenance. a 32-page fully customizable window that includes checklists and an overview of the aircraft. Have something you need to reference in the flight? Add it into the notes page! 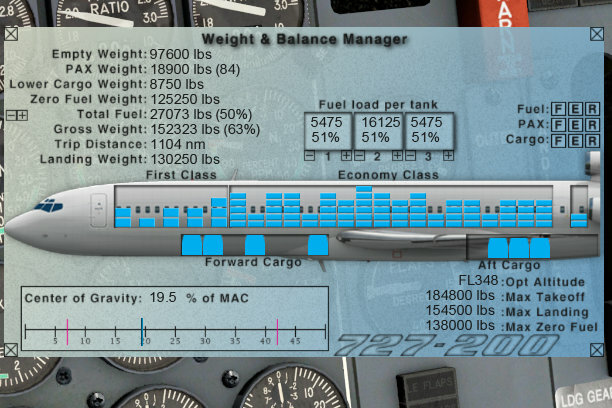 With over 500 hours of internal testing, you can be sure that the 727 series has a quality flight model. You can operate the 727 from startup to shutdown just like a real 727 captain, making this model the only study sim of a 727 in X-Plane. 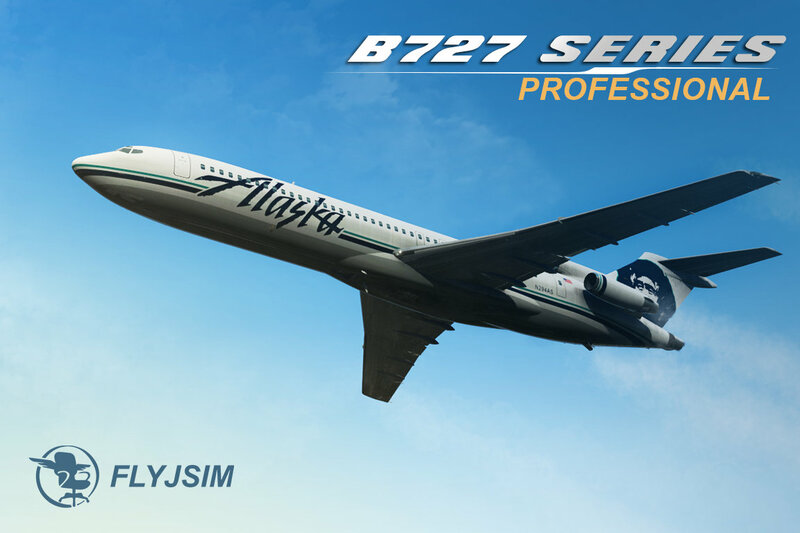 Note to previous FlyJsim 727 owners: You can upgrade to v2 for $25 off the full price if you bought the 727 series v1. 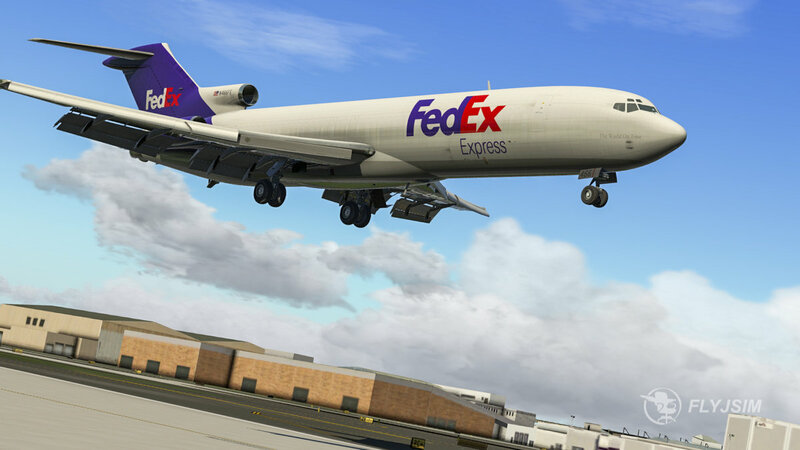 Send an email to sales@x-plane.org to get your discount code. Please include you original order number. Minimum: 1+ GB of VRAM, 2Gb+ VRAM Recommended. 'I have logged over 5000 hours in the 727 both as a pilot and flight engineer for a major airline. Added extra ACF files prefixed with _XP11 to be used in X-Plane 11. 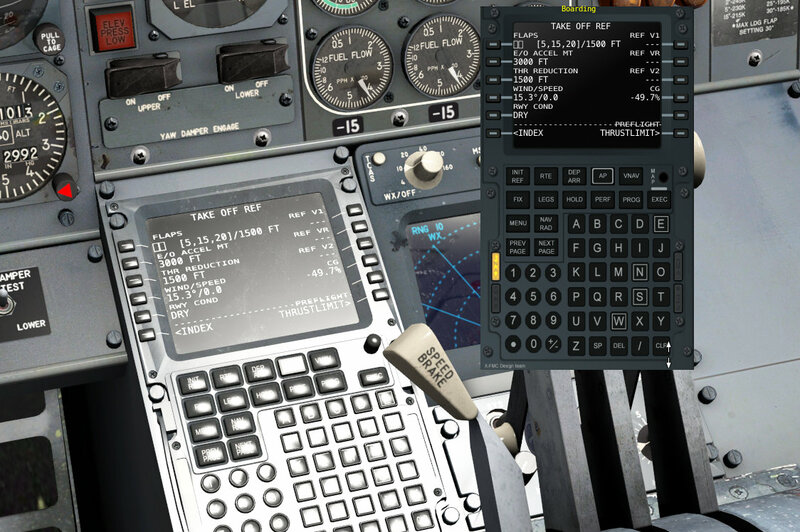 Added the default FMC as a popup, same as in the Q400, you will need to use the XP11 command. 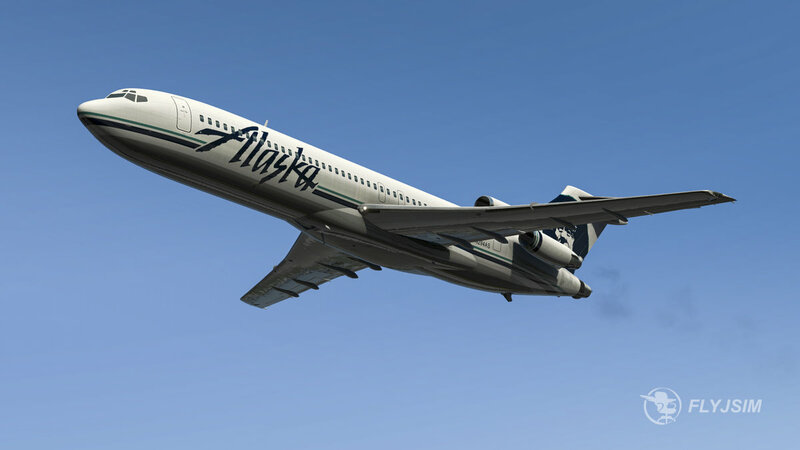 Updated aircraft author information for XP11. Adjusted annunciator lights to be brighter during the day. Turned off maintenance system by default for new users. You will need to turn it on when you are ready to have more fun. Fixed push-back ghost sometimes refusing to disappear. Fixed parking break handle crazy vibration. Fixed copilot callous now being loud enough. Lowered volume of cockpit sound by half. This is the sound that comes on with avionics. Fixed issue where toe breaks were not disengaging the auto-brake. Fixed extra engine pylon that was sticking out the back of the center engine. New cockpit panels and textures adjusted, adding better textures for knobs, etc, and fixing for gauge clarity. Electrical system overhauled. The electrical system now works closer to the real thing, requiring more effort on your part to make it work. Power consumption is now close to the real bird as well, the APU canÃƒÂ¢€Ã¢â€žÂ¢t run everything. Bus ties are no longer tied together. Pneumatic and Engine start system overhauled. Engines start requires sufficient bleed air to turn the turbine. This works similar to the 732 Update. Cross bleed starts are also now possible. All manipulators updated to work how they do in the 732, which is now my standard for cockpit manipulation. Auto Pushback system implemented with the ability to see where you will push to. Cockpit sounds updated to include switches and knob sounds as well as many more. 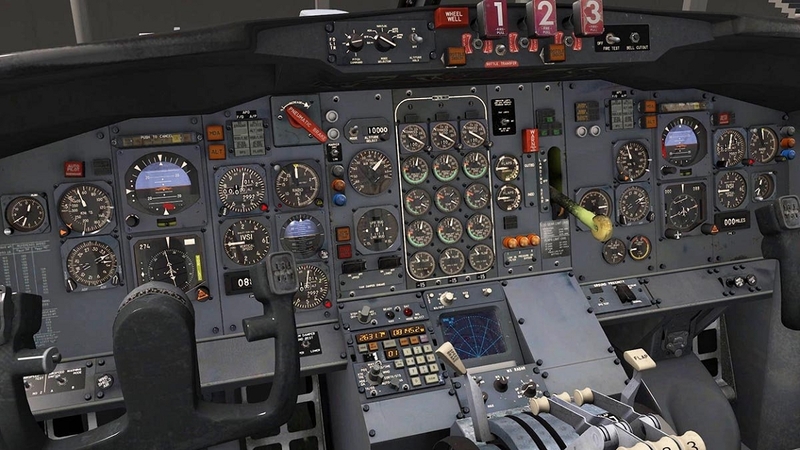 New Systems including, radio panels, instrument gyro switching system, comparator system, flight director system, 3d CIVA, 3d XFMC, and GPWS system. Complete overhaul of the cockpit lighting system. All lights are now available. There are a lot of lighting options. This makes flying at night so much fun. No more 2d mode, with 2d default fmc, this was silly. V-CARD updated to change text to blue, and now shows EPR and Trim targets. EPR is set on the ED. Added ability to set takeoff trim from the trim area, like in the 732 TwinJet. Added map lights (map light simulator 2016! Woot! ;) ). Added Window bolts like in the 732. Added 3 radio control panels, allowing you to listen to VORs, NDBs, etc. Gyros set properly starting from cold and dark. Added text for flight control test system on left overhead. Added Mach airspeed and warning test switches, as well as over speed que to airspeed gauge. Added yaw damper ground test switch and functionality. Added engine fire warning cutout button and fire test feature. Added APU fire test system. Added cargo fire system to overhead. Cockpit rolling dials updated to move correctly. Added press-to-test feature to all annunciators. EPR bugs now able to be set, and are set automatically when V-CARD is opened. External power and air simulation added. Added text for the auto pack trip system, and yes auto pack trip system does work. Spoiler now retracts proper if power applied. Animated cooper vein, and limited rear air stair deployment to ground only. Ground handling and brake system changed. The plane will now be a lot easier to taxi. Added the 732 yokes into the cockpit, which looks a lot better. Engine labels now correct for each variant. WnB disable option for FSE users. Updated cockpit glass items to look better, and now the standby ADI has glass. Clock stop watch feature added. Flight director now works like in the 732. Standby compass can now be stowed. Autobrake system rewritten to include RTO.